April 6, 1916: Municipal Journalarticles. Reference: Municipal Journal. 1916. 40:14(April 6, 1916): 489. Commentary: The typhoid fever epidemic in Milwaukee was caused by a city employee turning off the chlorine disinfection system for about 10 hours. 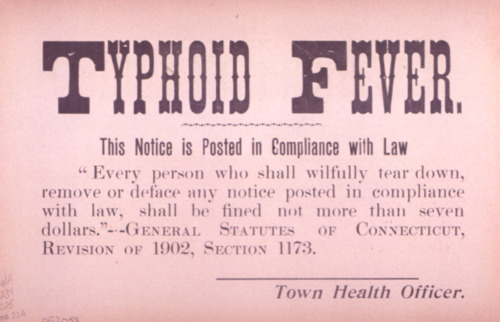 The epidemic resulted in 513 cases and 59 deaths from typhoid fever. As filtration and chlorination became more widely installed to protect water supplies, it became harder for cities to claim that contaminated water supplies were not responsible for typhoid fever deaths. The combination of engineers wanting to do the right thing and lawsuits resulted in an accelerated introduction of the new technologies. 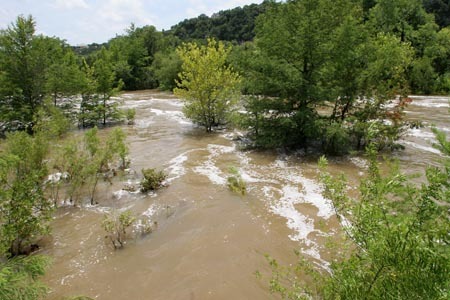 This entry was posted in Year 7 TDIWH and tagged drinking water, flooding, Fort Worth, lawsuits, Milwaukee, public health, reservoir, sewage, Texas, typhoid, water, water history, Wisconsin on April 6, 2019 by safedrinkingwaterdotcom. 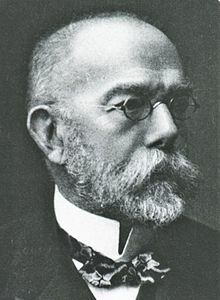 December 11, 1843: Birth of Robert Koch. Robert Heinrich HermannKoch was born December 11, 1843, in the small city of Clausthal in what was then called Lower Saxony. The city is 120 miles south and a little east of Hamburg and about the same distance west and a little south of Berlin. American microbiologist Thomas D. Brock’s excellent 1999 biography of Koch chronicled his life, triumphs, and tragedies. Koch studied many diseases besides those that were waterborne. In addition to his innovative work in water bacteriology, he became world-famous for isolating and accurately describing the tubercle bacillus, the cause of anthrax disease (Bacillus anthracis), the cholera germ, and the genus of Staphylococcusorganisms that cause many infections in humans. It was Robert Koch who revolutionized our understanding of microscopic organisms in water and their relation to specific diseases. Once again, tools were crucial to progress. Although Koch had basic microscopes, not everything could be described or investigated under a microscope. He needed methods to examine what made microorganisms grow and die. So, he and the scientists in his laboratory developed the tools that advanced the science of bacteriology, many of which are still in use today (i.e., standard plate count, coliform test). In 1880, Koch changed from a German country doctor performing clever experiments in a spare bedroom to a professional researcher at the Imperial Health Office in Berlin. It was not until December 1875 that he did his famous experiment with anthrax by injecting a rabbit with material from a diseased source and infecting the rabbit with the disease. He did not publish the paper describing his groundbreaking anthrax research until December 1876. In Berlin, Koch realized that the key to advances in bacteriology was development of pure cultures of the organisms causing disease. He was aware of early work in which a limited number of bacteria were grown on the solid surface of potato slices. 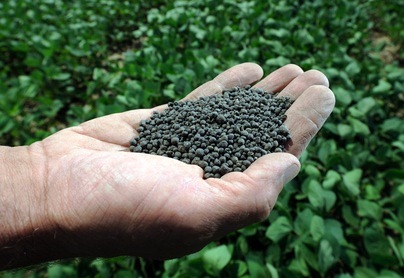 However, the human pathogens he was interested in studying did not grow very well on a potato substrate. Robert Koch developed the tools that spawned the next generation of advances in bacteriology, and these advances provide a direct link to the two Jersey City trials. Without his breakthroughs, there would not have been any bacteriological data to determine if the Boonton Reservoir was providing pure and wholesome water to Jersey City. In 1881, Koch published his seminal paper on bacterial growth on a solid medium. Called the “Bible of Bacteriology,” the paper (in German) described in some detail how Koch combined the liquid medium in which pathogens would grow with a solidifying agent—gelatin. The transparent nutrient gelatin could be fixed onto a transparent glass plate, and the use of a magnifying lens made counting the bacterial colonies that grew on the nutrient medium quite easy. Because of his research on tuberculosis, Koch received the Nobel Prize in Physiology or Medicine in 1905. In 1908, Koch and his wife visited the United States as part of a world tour. In many ways, this trip was Koch’s victory lap. But the trip was the beginning of the end for Koch; he died two years later in Baden-Baden on May 27, 1910, at the age of 67. Brock, Thomas D. 1999. Robert Koch: A Life in Medicine and Bacteriology. Washington, D.C.: ASM Press. 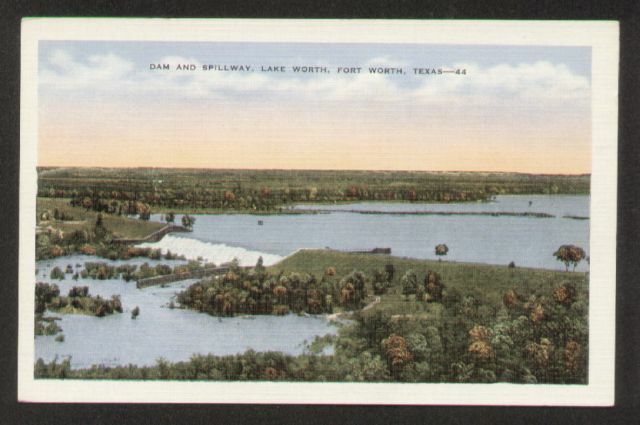 December 11, 1913: Reservoir Dam Breaks…and other amazing stories. 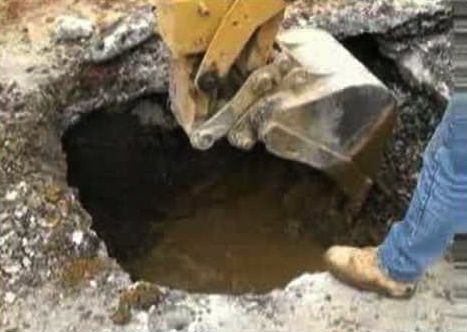 Reservoir Dam Breaks.Abilene, Tex.-A break has occurred in the dam at Syth Lake Reservoir, effecting a great gap through which 600,000,000 gallons of water escaped. A large section of the land bordering on the reservoir was badly flooded. The city of Abilene had to go without water and for that reason the electric power plant was forced to shut down its boilers. The manufacturing plants were also unable to operate. 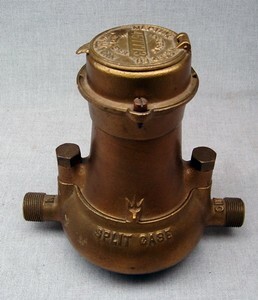 Hydrants to be Standardized.Oak Point, Cal.-An important improvement was ordered for this district by Commissioner of Public Works E. M. Wilder. 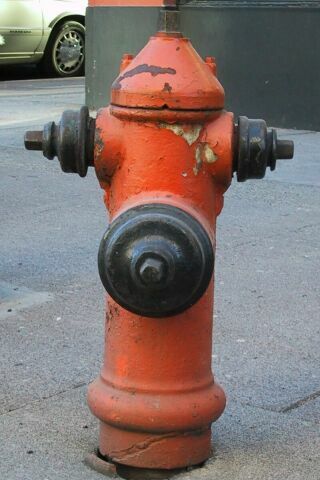 Wilder has directed that all hydrants be standardized so that the same size wrench or spanner may open any of the hydrants in this district. Recently many complaints have been filed on account of broken nuts on the hydrants, caused by the use of different kinds of wrenches. Reference: Municipal Journal. 1913. 35:24 (December 11, 1913): 800. This entry was posted in Year 7 TDIWH and tagged artesian wells, bacteriology, cholera, common cup, dam break, drinking water, fire hydrants, flooding, public health, reservoir, Robert Koch, tuberculosis, water, water history on December 11, 2018 by safedrinkingwaterdotcom. April 6, 1916: Municipal Journal articles. This entry was posted in Year 6 TDIWH and tagged drinking water, flooding, Fort Worth, lawsuits, Milwaukee, public health, reservoir, sewage, Texas, typhoid, water, water history, Wisconsin on April 6, 2018 by safedrinkingwaterdotcom. Reference: Municipal Journal. 1916. 40:7(February 17,1916): 244. This entry was posted in Year 6 TDIWH and tagged fertilizer, flooding, Milwaukee, San Diego, sewage, sewage treatment, sludge, water, water history on February 17, 2018 by safedrinkingwaterdotcom. This entry was posted in Year 6 TDIWH and tagged chlorine, Detroit, drinking water, flooding, main break, New York City, public health, water, water history, water meters on February 11, 2018 by safedrinkingwaterdotcom.